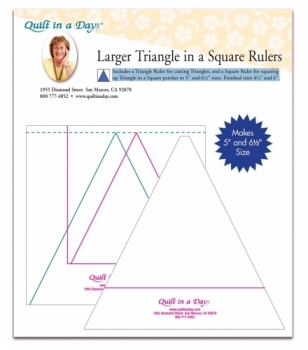 Larger Triangle in a Square Ruler by Quilt in a Day. Includes a Triangle Ruler for cutting Triangles, and a Square Ruler for squaring up Triangle in a Square patches to 5" and 6.5" sizes. Finished sizes 4.5" and 6".